After four weeks of debate, the Georgetown University Student Association (GUSA) Senate passed a resolution approving a referendum on a reconciliation contribution for descendents of slaves sold by the Jesuits. The resolution, which required a two-thirds majority of 29 senators, scraped through by two votes, 20-4. The cheers after it passed on Feb. 3 made it seem like all of Gaston Hall had broken out in applause, though it was just one small room on the ground floor of Healy. In April, the referendum will ask students to create a reconciliation contribution to benefit the descendants of the 272 enslaved people who were sold by the Jesuits of Maryland to keep the university financially viable in 1838. The fee would be similar to the student activities fee, collected once a semester in students’ tuition bills. It would start at $27.20, in reference to the number of enslaved people sold that year, though it could rise each year with inflation. Since The New York Times reported in April 2016 that there are living descendents of the 272 people the Jesuits sold, student activists have been searching for ways to address the university’s painful legacy. Student protests in 2015 pushed the university to rename buildings honoring Jesuits who were involved in the sale and proposed memorials to the people Georgetown sold. The university also issued an apology in 2017 and offered preferential university admission to descendants of the 272. It also established the Working Group on Slavery, Memory, and Reconciliation to provide further recommendations. But student activists contend that Georgetown has not yet fulfilled its obligations to address its past. Descendants themselves have advocated for financial reparations from Georgetown. The Isaac Hawkins Legacy Group, composed of direct descendants of Isaac Hawkins, the first slave on the 1838 bill of sale, called on the school to establish a fund to repay them for their ancestors’ labor in February 2018. “They have asked for something tangible to help them deal with those needs that arise from their connection to Georgetown’s involvement in the slave trade,” wrote a spokesperson for the group in an email to the Voice. This summer, a group of Georgetown students visited Maringouin, Louisiana, near the plantation to which Georgetown sold the 272 people. Students met descendants, many of whom still live in impoverished communities in and around Maringouin, and from these visits, they were inspired to bring the referendum to the student body. Four weeks before the vote in the senate, former Sen. Sam Appel (COL ’20) presented the resolution to his GUSA colleagues for the first time. Much of the resolution’s text came from the GU272 Advocacy Team, a student group formed last fall. GUSA senators debated the resolution four times—twice in the Ways and Means Committee and twice in full senate meetings—before it passed. Appel introduced the resolution to the Ways and Means Committee in a tense and crowded room alongside members of the GU272 Advocacy Team, Hannah Michael (SFS ’21) and Mélisande Short-Colomb (COL ’21), who is a descendant. Neither is a GUSA senator, the first non-senators to ever sponsor a resolution. Michael said it was important that descendents and activists were involved in the legislative process. “This could not have originated in GUSA and actually been meaningful in the way it needed to be,” she said. But debate on the resolution proved contentious. GUSA senators had learned about the resolution only hours before the meeting, prompting concerns about the legislative process that stalled the policy discussion. Appel urged the committee to pass it, saying that if the referendum was going to be on a ballot in the spring, they would need time to inform the student body and ensure students uderstand it. However, the bill did not make it out of committee at that meeting due to overwhelming concerns about a lack of oversight of the funds. Appel and Michael returned to the committee the next week to clarify who would determine how the funds would be allocated. The proposed resolution now included a charter for the “GU272 Reconciliation Board of Trustees,” which would be established upon passage of the resolution to decide where the collected funds would go. While debate continued around who would be on the board, the clarifications satisfied some of the senators who had previous reservations. The committee passed the bill and sent it to the full senate. After a week of building anticipation and meetings between the advocacy team and senators, the senate sat down to debate the bill on Jan. 27. That meeting provided the clearest contrast yet between the views of those who supported the resolution and those who did not. Both the amount and the use of the proposed fee sparked division. Appel estimated the fee would raise around $400,000 a year and could be covered by the Office of Student Financial Services for students on full financial aid. Those who opposed the referendum argued that even for students not on financial aid, $27.20 per semester was a significant amount of money. This cost pales in comparison to the legacy of slavery, argued Sen. Samantha Moreland (COL ’21), a belief echoed by several of the senators. “It’s the smallest price you can pay for going to this school,” Moreland said. Appel responded to concerns that the Georgetown Board of Trustees would not allow implementation of the referendum by assuring that a student representative on the board had promised support. Senator Harry Clow (MSB ’19) replied that he had spoken to the same representative, who had reported it would not even pass his subcommittee. 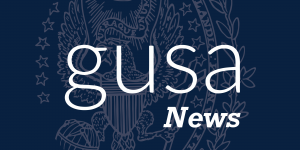 Sen. Dylan Hughes (COL ’19) introduced a series of amendments designed to solve some of the problems that detractors had with the resolution, one of which gives GUSA the right to appoint the students to the group which would control the funds raised by the fee. The advocacy team was concerned that this GUSA influence would limit the voices of descendants on the board who, under the original bill, would have selected the student members. Yet multiple senators spoke in support of Hughes’ amendments for more oversight and suggested that without them, the bill might fail. Two hours later, they emerged from Healy Hall without a vote. Instead, Appel used a parliamentary tool to table the vote to make sure the bill was not defeated in that meeting. For many on the advocacy team, it was disheartening. Michael said she was surprised that it was so difficult to get the referendum through the senate. “I expected senators to have reviewed the documents the team prepared prior to coming to the meeting so we could have conversations that are constructive and come from a place of having an educated understanding about Georgetown’s legacy,” she said. 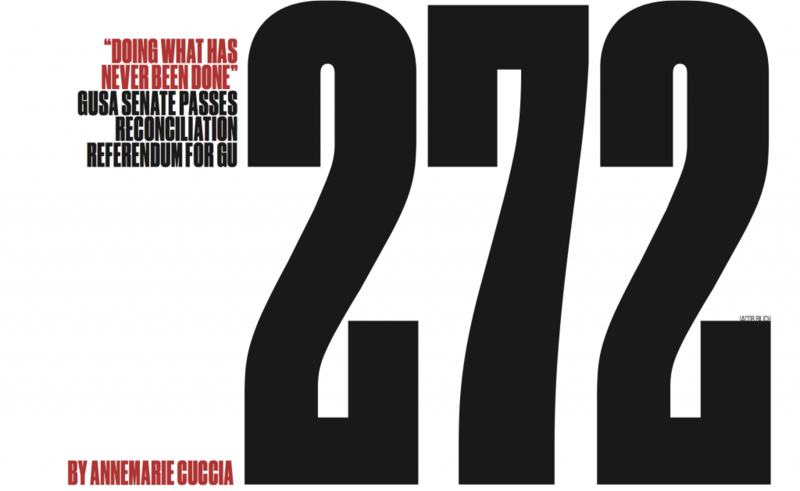 The inconclusive outcome surprised both senators and members of the GU272 Advocacy Team. More disruptions were to come: The day after that meeting, Appel resigned from the Senate and his GUSA Executive candidacy for undisclosed reasons, and Moreland took over sponsorship of the bill. The advocacy team continued to meet with senators through the next week. Some senators came to show their support while others came to ask questions or criticize sections of the bill. But after that week of work, no one could tell if anything had actually changed. On Feb. 3, ideological disputes that had previously been afterthoughts to the technical criticism of the resolution were brought to the forefront. Sen. Evan Farrara (COL ’19) said he believed the university as an institution should address its history, not the students themselves. person who hypothetically profited off shares in Amazon, which was later found to be culpable of human rights violations. While he said Amazon’s actions would be terrible, they would not compel action from those who benefitted. “The third-party who unknowingly benefited from these atrocities would not be considered to be at fault for these crimes,” he said. “Amazon and its administrators who were directly involved would be responsible.” Other senators agreed, suggesting the contribution by students should be charitable and voluntary. Sen. Saham Ali (COL ’21) responded that students of Georgetown have an obligation to descendants of the 272, since students have indirectly profited off Georgetown’s legacy of slavery by being educated here. Still, it was not enough to sway Farrara or the three other senators who voted against the resolution. One of those senators, Sam Dubke (SFS ’21) said that he felt that he was representing the voice of the student body by voting against the resolution, as he knew many people who would not vote in favor of the referendum. Along with Farrara and Dubke, Gary Xie (SFS ’20) and Lexie Gutierrez (COL ’20) voted against the referendum. Xie felt the reconciliation funds should come from donations, at least for the time being, and that people would not trust GUSA to spend the money appropriately. Gutierrez was concerned that many groups of people have been negatively affected by Georgetown, and that GUSA should not decide which of those communities receive money. Senators Matt Buckwald (COL ’20), Hayley Grande (COL ’21), and Harry Clow (MSB ’19) had all previously expressed concerns but were absent on the day of the vote. In a last attempt to wrangle support, Moreland pointed out that voting in favor of the resolution did not necessarily equal support for the referendum, but rather for a broader discussion with students. She closed the final debate on the bill by expressing her concern that if the referendum failed, the opportunity to address this issue would be lost. “If I leave this meeting and this doesn’t pass, I’m going to have a different perspective on this school, this senate,” she said. Yet despite the discord, the resolution passed, and the referendum will be on the April ballot alongside GUSA Senate elections. While the process was difficult, Michael said the outcome was ultimately exciting. “I’m excited to play a part in empowering fellow students to inform themselves of our university’s legacy with slavery and look forward to hearing from my fellow students,” she said. Several students are still working to promote the referendum to the general student body. Sheppard Thomas (COL ’20), a descendant of the 272 involved with the advocacy team, said he is glad the referendum has started a conversation on campus about the university’s involvement with slavery. “Being a descendant, I feel that it is incumbent on me to be involved in those conversations with my fellow peers,” Thomas wrote in an email to the Voice. He kept other descendants updated on the referendum’s progress through GUSA via the GU272 Descendants Association. He wrote that descendants he has talked to have been “positive and supportive.” He is also reaching out to other descendants who are not involved with the association so that all descendants will eventually be aware. Thomas hopes that students will not vote down the referendum because of a lack of information about it. “I feel that we as people cannot overlook the fact that there would be no Georgetown University without the involuntary sale of these people in 1838,” Thomas wrote. To help inform students, the advocacy team will host meetings and town halls to ensure students understand the referendum before they vote. Regardless of the outcome of the referendum in April, Leyja thinks the process will improve the conversation around Georgetown’s history with slavery. “Our objective as a group isn’t to sermonize or preach. The words exist. We’re just trying to bring them back into the conversation,” she wrote. Georgetown is not the only university grappling with their part of the American slave trade. Harvard and Brown, among others, have researched and acknowledged their past of slavery, and Yale changed the name of their college memorializing John C. Calhoun. But so far, no college has instituted a financial contribution to address their history. Short-Colomb said she hopes students will pass the referendum and that other student bodies will soon take up reconciliation for their universities’ roles in the slave trade.